How do I create reminders in Agenda? How do I completed them? 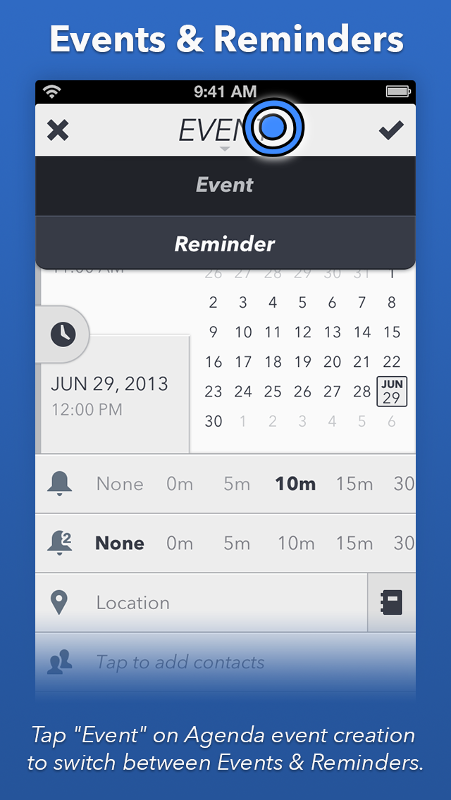 Create reminders in Agenda in the event creation view by tapping the event/reminder drop down.